This autumn, my boyfriend and I drove two hours north of New York City in search of the perfect Catskills weekend getaway. After spending a night in Woodstock with TerraGlamping, we set our sights on a hike up Overlook Mountain. 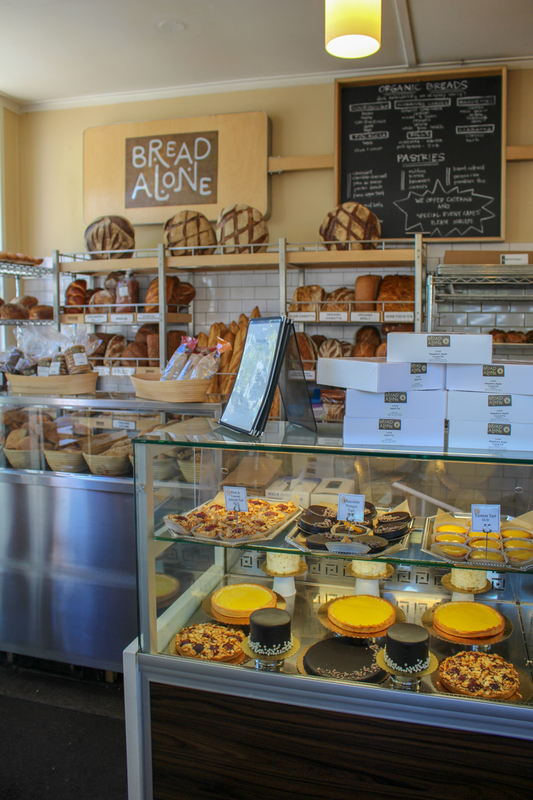 Before leaving Woodstock, however, we stopped in one of the best upstate New York bakeries: Bread Alone. Though Bread Alone is best known for their organic, wood-fired oven bread, I'm a big fan of their pastries. After grabbing some muffins for the road, we drove to the base of Overlook Mountain to start our hike. You'll know you've made it when you see the Buddhist temple across from the entrance to the trail. The temple was closed for a private event when we arrived, but on regular days, there is a small gift shop open to visitors. After the first half hour of walking uphill, it started to feel like the 5 mile gravel trail would never end. The first highlight of the hike (apart from the abundant fresh air) was arriving at the ruins of the Overlook Mountain House. 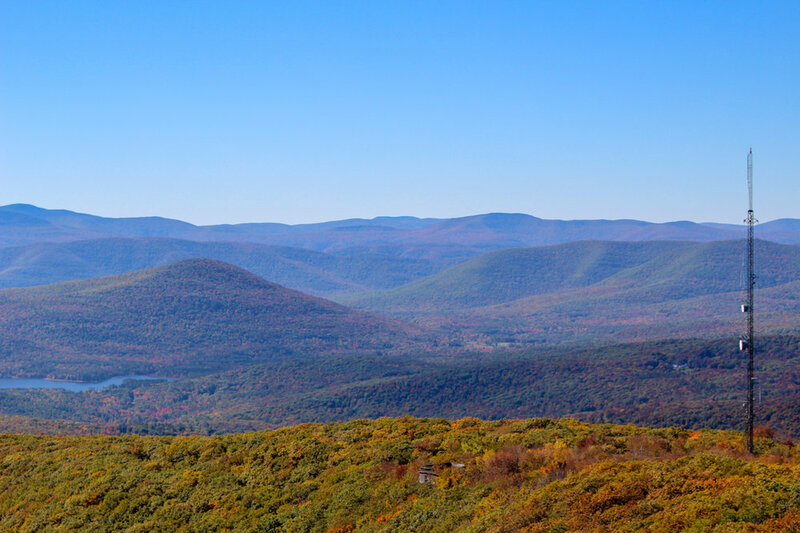 In the late 1800's and early 1900's, the Catskill Mountains were a retreat for the New York City's rich and famous. A crumbling shell is all that remains of this luxury resort today. Enter at your own risk! Near the summit, we caught our first glimpse of the mountain's 60 foot fire tower. The tower is open to visitors, though that often depends on the wind conditions. On a clear day, you can see six states from your perch at the top of the tower. After climbing the fire tower, we entered the exhibit to learn more about the geological formation of the mountain and the history of the Overlook Mountain House. After our hike, we hopped back in the car and drove to Phoenicia. We walked through the center of town and settled on lunch and coffee at a quirky coffee shop called Mama's Boy (now permanently closed). Cell service is poor in these parts of upstate New York, so we also took advantage of their free WiFi. We continued onwards to West Kill and turned right onto Spruceton Road. At the end of a dead end road and nestled in the valley behind Hunter Mountain, we found the Spruceton Inn, a nine room hipster motel-style inn. There's a small bar on the premises which attracts both guests and locals alike. There's nothing like ending a weekend spent outdoors with burgers on the grill and a beer by the fire.